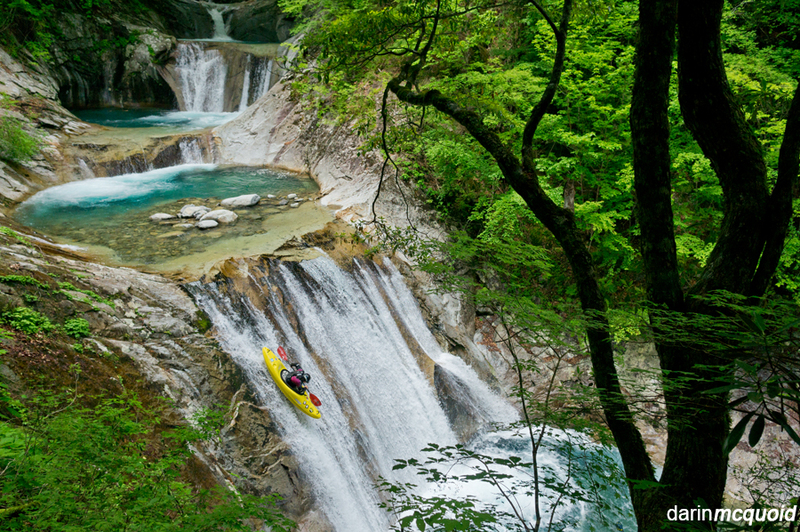 The above image was voted photo of the year during the Canoe and Kayak awards ceremony at the Outdoor Retailer show. Thank you to everyone who voted, I wish I could have been there but it wasn't to be. Often people subscribe luck to photographers, and there is luck involved. Yet good photographers can produce quality images on demand. Are they really that lucky? I am not the worlds best photographer, nor the most knowledgeable. But I've been moderately successful and I can think of three key components in my work that are available to everyone. Planning. Being well planned is bringing the camera every time, having the battery fully charged with extra memory and battery in the bag, just in case. It's not about having the best gear, but knowing your gear. Understanding what trade offs are made with each lens and aperture. Planning for light is key, you may bring your camera on the same run ten times and one day the light is right, and if you've planned ahead you can seize that opportunity. Patience. This is more for the people you paddle with then for you. Patience they have for you always wanting to take pictures, and waiting for you to get prepared. In this case people had to wait. This takes time and is tedious for everyone in the group. Perseverance. It's easy to say, "I have a good shot of this rapid already". We all do it sometimes, but as a photographer you have no ability to control a paddlers line or form. Sometimes it just takes repetition; paddler form, boat color, the days weather, it all plays a role. I'd been to this spot before and shot it with a considerably more expensive camera. Between the two visits I have forty pictures of this one drop, but none of them sing like this one. Today any decent camera can produce publishable results. In 2011 I was there with a Nikon D700 ($2,800) and Tamron 28-75mm f/2.8 ($500) Last year I shot the above with a Sony NEX-5R ($650) and Sigma 19mm f/2.8 ($200). Would the shot have been technically better with the highest end equipment? Sure, but the moral of the story is that planning, patience and perseverance are are more important than any amount of equipment.